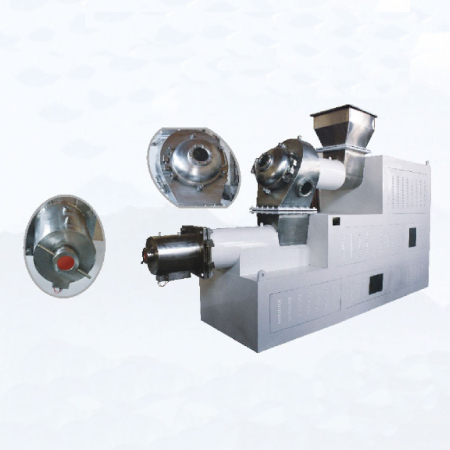 Vacuum Plodder is used to grind, refine and press soap material into soap bar. The above and below screws and two orifice plates press and refine the soap material and make the soap bar tight and the surface bright. The vacuum pump vacuumizes the soap materials, and the soap is not easy to crack. The below screw’ speed is adjustable to regulate the production capacity. The vacuum chamber has a vision glass to watch the inner, the vacuum meter tests the vacuum degree. The heater inside the outlet adopt automatic temperature control system. The jackets of the above and below barrels are connected to a circulating water source. The motor and the reducer are separated, for long life-span and maintenance. The parts that would touch the soap materials are made of good quality SS 304. Power: top: 5.5 kW; bottom: 7.5 kW (adjustable) / top: 15 kW, bottom: 22 kW (adjustable) / top: 11 kW, bottom: 15 kW (adjustable) / top: 15 kW, bottom: 22 kW (adjustable) / top: 18.5 kW, bottom: 30 kW (adjustable).